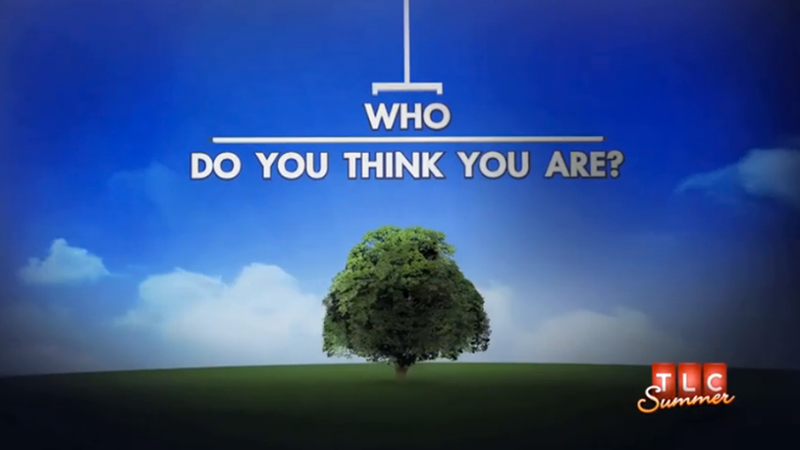 Lately I've been watching a show on TLC called "Who Do You Think You Are?" Largely sponsored by Ancestry.com, it follows various celebrities around as they trace bits of their family history. Given my own history (and frequent lack thereof), I find this show fascinating. On the one hand, I'm wildly envious of the stars' seemingly endless resources in hiring professional genealogists and researchers and historians to trace their lineage as they travel all over the world to discover where they came from. Have to jet off to Europe or the Carribbean? Oh, darn. On the other hand, I love how much genealogical searching humanizes these celebrities; their reactions, whether of surprise or excitement or distress, appear genuine because in those moments they are just like the rest of us--regular people searching for who they are and where they came from. And that's something we all want and deserve to know. So far this season I've seen celebrities who've discovered they are direct descendants of European royalty and I've watched as other celebrities learned that distant relatives were murderers (though in one case it was arguably self-defense). The common themes seem to be either how various family members persevered against great odds or how some aspect of one's personality carried down through the centuries. For example, Jim Parsons of Big Bang Theory wanted to see if there were any creative people or artists in his line; apparently there were several. Another actor, for whom family is paramount, discovered a long line of ancestors who routinely sacrificed for their families. Just the other night I watched as Brooke Shields learned that her Italian lineage actually originated in France; turns out she majored in French Literature in college and has always been drawn to all things French without ever really knowing why. Now she does. Obviously this is a television show and is therefore edited for maximum effect, particularly in presenting the whole "rise above adversity" theme. After all, the goal is to snag viewers. Even so, I am drawn to the latter theme of continuity because I get it--I'm seeing it over and over again as I trace my own ancestry. I find the idea of continuity in one's family extremely compelling, especially after growing up as an adoptee and having pretty much zero continuity or family history for more than four decades. Certainly a great deal of who I am was instilled by my adoptive family and I'm grateful for that and for them, but those experiences only define a portion of what and who I am. Perhaps that's why the recent search for my birth parents and my history has been so valuable to me because I am finally getting a glimpse of my unknown origins. Some aspects of my ancestry, particularly on my birth father's side, will likely remain a mystery forever. I wish it could be otherwise, regardless of my birth father's apparent lack of character, because his own ancestry still comprises half of my heredity and I'd still like to learn more about it...I want to see if there is a continuity present in his line as there is on my birth mother's side. Even if I never learn anything more about my birth father, the information I've learned thus far about my birth mother's family has been a gift. It's difficult to describe how meaningful an experience it is to be able to find a part of yourself that you didn't even know was missing...to hear the echoes of relatives long past calling down to you through the ages...to feel just that little bit more whole. It's an amazing thing, this context, and I've watched it play out over and over in each episode of this show just as I'm now watching it play out in my own life on a much smaller scale. It's these stories, these connections, that make everything so real for me. Seeing names on a page is interesting and all, but when those names come to life and become real, breathing people with whom you might share commonalities? Well, that's another matter entirely, and one which cannot be underestimated. I've already written about some of the small commonalities I share with my birth mother, the odd idiosyncrasies that mark me as one of her line and no one else's. Since then, I've learned a little more about her our family, even with my limited resources. I'm starting to hear the echoes. I have one great-grand-aunt who did medical research at a time when women were not generally that highly educated; she helped to isolate the typhus bacterium. Her sister, another great-grand-aunt, was a musician who taught piano in Germany. I gather my grandmother was also a pianist. I know virtually nothing about these people, and yet I can still see glimpses of where my interests in education and music might have originated. 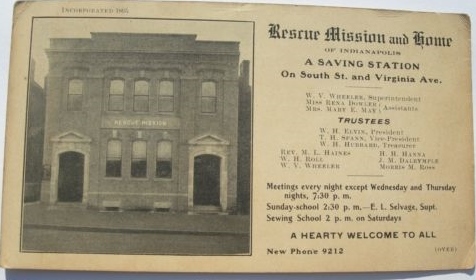 My great-great-grandfather himself founded a well-known mission in Indianapolis which is still in operation today. 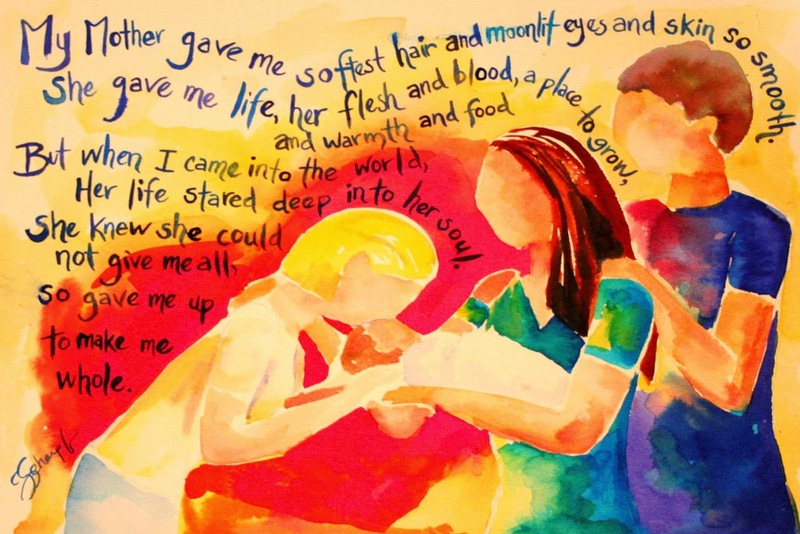 I find it particularly ironic that it was originally founded as a home for unwed mothers (and initially called the Door of Hope) given the circumstances of my own conception and birth. I can't help but wonder if that example might not have somehow influenced my birth mother's decision to put me up for adoption as opposed to aborting me. 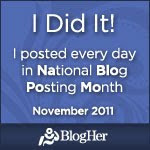 If so, then I'm doubly thankful. Regardless, the echoes are still there--I may not have done anything as big as founding a mission, but I have always liked helping people however I can. Watching this show serves to remind me how we are all tied to our past whether we realize it or not, as well as whether we are trying to improve upon it or to merely live up to it. Either way, we are still a product of all those who came before. For me, this is much like the strange feeling I had a few years ago when I was in the UK. We spent some time exploring London, though we missed many of the sites I would have liked to see such as Glastonbury, Bath, and Stratford-upon-Avon. There were various complications along the way that made the trip less than it might have been, but when I got on the train to head to Scotland, all the frustrations melted away. It felt for all the world like I was going home. The closer I got to Scotland, the more relaxed I became--the more at peace--as if centuries of Gaelic ancestors were welcoming me back to my native land. It was a surreal experience, particularly since I had no knowledge of my heredity at the time. Since then I've discovered through DNA testing that most of my ancestors originated in the UK (with a few Swiss and Germans thrown in for seasoning). Apparently Ancestry.com (which provided the testing) filtered their findings more fully because one day I received an email with updated results showing that I am approximately 31% Irish (yeah, like that's a shocker) and 27% British. I'm even 10% Scandinavian...yay, Vikings! Research into my birth mother's family suggests that of that UK percentage, a significant portion is Welsh and yes, there are a a few Scots scattered here and there. So far I've not found any Irish in my birth mother's lineage to speak of (though I'm not done researching), so I can only assume I inherited the majority of it from my birth father. Either way, I now have a context for my life-long fascination with all things Celtic (and not just their kilts, though admittedly those are pretty fabulous and tend to make me a little weak in the knees). I've always been intrigued with the history and mythology of the Celtic nations and drawn to Celtic art, particularly knotwork. I never knew why before--now I do. Besides, if I'm part Welsh, I can totally claim a legitimate connection to King Arthur and to Torchwood (and possibly Doctor Who by extension). Bright side, people...bright side. 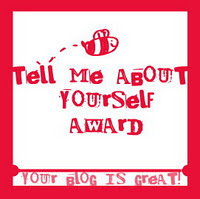 Learning about oneself and one's geneaology is a journey in every sense of the word. Most people get to discover their history over decades; my journey has so far been compressed into two short years, making it arguably more impactful since I didn't have the luxury of living and breathing my genetic family history as I grew up. Suddenly I have a context for things I didn't previously understand; suddenly I can see the beginnings of a continuity connecting me throughout the years. Suddenly I understand why my time in Scotland felt so natural and grounding, like Scotland was calling me home.